The First Responder Network Authority (FirstNet) is a federal agency that includes private sector and other non-federal representation on its board of directors. FirstNet was created by Congress with provisions in Title VI (Spectrum Act) of the Middle Class Tax Relief and Job Creation Act of 2012 to ensure the deployment and operation of a nationwide, broadband network for public safety communications. It is established as an “independent authority” within the National Telecommunications and Information Administration (NTIA), part of the Department of Commerce. 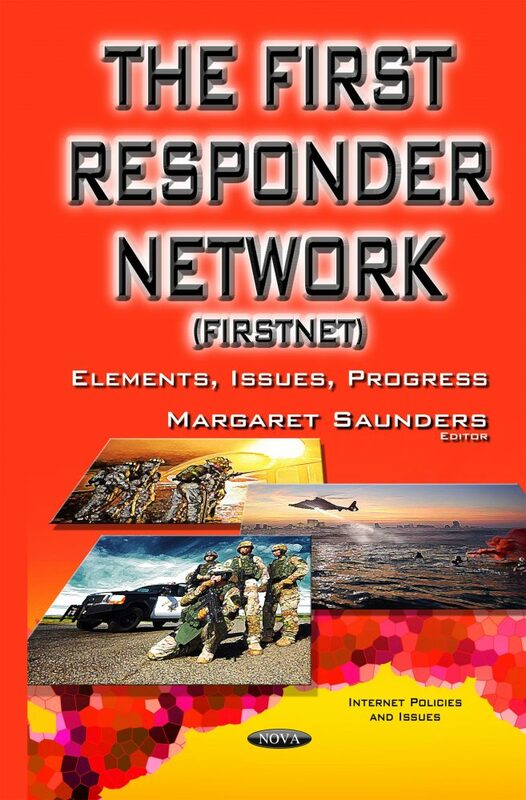 There are many challenges for public safety leaders and policymakers in establishing the framework for a nationwide network that meets state, local, tribal and territorial needs for robust, interoperable emergency communications. Currently, for example, state emergency communications needs are typically met by separate networks using different technologies. Furthermore, each state has its own laws and procedures for building, managing, and funding communications infrastructure. Among the challenges facing FirstNet is establishing a governance model that accommodates current investments and future needs of its clients without compromising the coherence of a national network. This book discusses the elements, issues, and progress made by FirstNet. Testimony of Susan Swenson, Chairwoman, First Responder Network Authority (FirstNet). Hearing on "Three Years Later: Are We Any Closer To A Nationwide Public Safety Wireless Broadband Network?" Testimony of Todd J. Zinser, Inspector General, U.S. Department of Commerce. Hearing on "Three Years Later: Are We Any Closer To A Nationwide Public Safety Wireless Broadband Network?"